Design Thinking, Lean Start-up, Agile: from theory to practice. 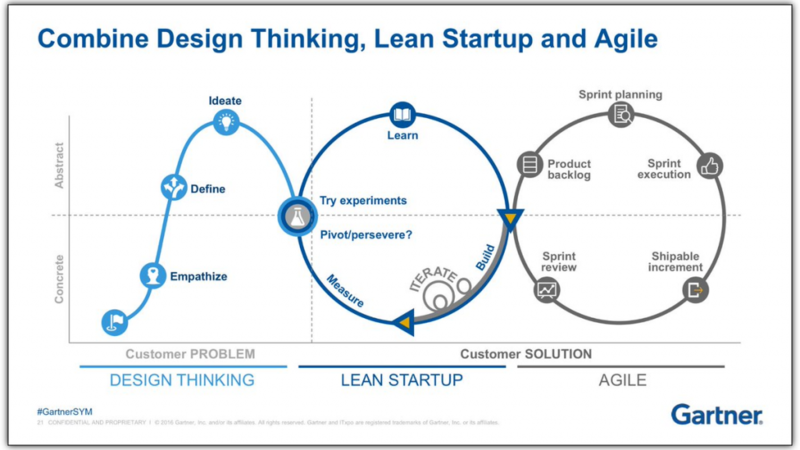 Design Thinking, Lean Start-Up and Agile are methodologies to foster business opportunities, stimulate innovation and accelerate time-to-market. They have many aspects in common, and sometimes we tend to confuse them, but really they are complementary approaches inside a company. Let’s see how and why to apply them in a coordinated and transversal way. Design Thinking is a methodology codified at the beginning of the 2000 by Tim Brown, CEO of the Californian Ideo. According to Brown, "Design thinking is a human-centered approach to innovation that draws the designer's toolkit to integrate the needs of people, the possibility of technology and the requirements for business success". Design Thinking is based on the principles of strategic design in order to find an innovative solution to a problem keeping in mind three aspects: human aspect ("user satisfaction"), economic aspect ("sustainability" and "profitability") and technological aspect ("feasibility"). Design Thinking identifies 4 iterative phases: "empathize" (know the real needs of users); "Define" (build a new point of view based on the identified needs); "Ideate" (conceive new strategies and solutions), "Prototype" (test solutions, initially roughly sketched). Another distinctive aspect is the engagement of a multidisciplinary team, to face a theme from different points of view. Many companies see Design Thinking as a sort of exceptional or occasional brainstorming to conceive ingenious ideas; in reality it should be seen more as a practice of learning, updating and continuous generation, through dialogue between the different company functions. Therefore, this methodology aims to verify quickly the potential of an idea on the market and to shorten the development cycles reducing waste. In order to do this, the Lean Startup proceeds for cyclic and subsequent experiments of initial versions of products (the Minimum Viable Products), passing to the next release only when the customer feedback has been analysed. According to Forbes, globally 90% of start-ups fail and the first reason for this failure is "Produce products that nobody wants" (Fortune). This simple statistic explains very well why every company should use the Lean Startup for the launch of new products. Agile is a working method created in 2001 by 17 developers who produced a manifesto for the creation of software applications in a lighter, cheaper and faster way. According to the 12 principles of the Agile Manifesto, "Working software is the primary measure of progress. Deliver a rough draft, then revise based on your editor's suggestions. Never deliver the entire piece all at once!”. The basic principles of the Agile method are: iterative development, incremental release and the possibility of changes even during construction. A strong emphasis is placed on collaboration between product managers and developers, and interaction with the customers to develop valuable products (interactions over documentation). The nature of the Agile approach does not define a priori the final result so, in the same context, the results of different initiatives could overlap or interfere with each other. This is why various methods have been developed (LeSS, DAD, SAFe) to synchronize alignments and foster collaboration among multiple Agile teams. The three methodologies have in common the centrality of the client and their advantages, at least theoretical, are clear. In practice, however, their application is not simple and experience and careful governance are necessary in order not to slip into dangerous "distorsions". Some common mistakes can discourage companies and induce them to abandon these methodologies before seeing their fruits ripen. For example Design Thinking must be guided and managed, so that ideas produced are actually feasible and consistent with the company strategy. The manager who adopts the Lean Start-Up approach must be really ready and feel "authorized" to "change his mind" based on the feedback received, and not just define a priori what to release in the first release and in the subsequent ones. Agile, which moves towards greater reactivity to customer requests, must not turn into a condescending attitude, losing sight of the real usefulness of the final product. In practice, careful governance is needed in the application of these methodologies in a holistic way within a company, through a true collaboration between marketing departments, designers, product managers, business developers and product developers.  InfiniteArea teaches companies how to concretely apply these approaches within their own context, through interactive and experiential training courses and assistance to managers and entrepreneurs. Personas are identikits of real people, describing their needs, behaviours, interests and expectations of a product or service.